The Total CIO | Andy (Avraham) Blumenthal: Don't Worry--Be Happy! 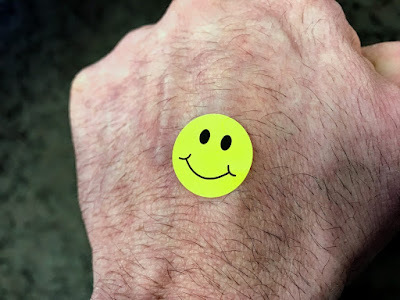 Yesterday, someone gave me a couple of these bright yellow smileys--one on the back of each of my hands. It's funny how a little smile sticker can make the whole world seem right again.